22 Palestinian civilians, including 3 children and a journalist, were wounded. Israeli forces conducted 57 incursions into Palestinian communities in the West Bank and 11 incursions into occupied Jerusalem and its suburbs. 73 civilians, including 16 children, were arrested in the West Bank. 23 of them, including 11 children, were arrested in occupied Jerusalem and its suburbs. Israeli forces demolished 16 residential apartments in al-Za’im village and forced 3 civilians to self-demolish their houses. 34 civilians were displaced, including 16 children. 20 dunums were demolished from Deir Balout lands, and 135 olive trees were uprooted from Deiristayah in Salfit. 5 Palestinian civilians were arrested at military checkpoints in the West Bank. Israeli violations of international law and international humanitarian law in the oPt continued during the reporting period (30 March – 05 April 2017). During the reporting period, Israeli forces killed a Palestinian child from Nablus in Jerusalem’s Old City. Meanwhile, they wounded 22 other civilians, including 3 children and a photojournalist, in the West Bank. In the Gaza Strip, Israeli forces continued to open fire at the farmers in the border areas. In the West Bank, in a new crime of using excessive force, on 01 April 2017, Israeli forces killed a Palestinian child, Ahmed Ghazal (17), from Nablus, after stabbing settlers on al-Wad Street in Jerusalem’s Old City. They chased the abovmeentioned child, who fled towards the entry of a small building. The Israeli forces then fired around 25 bullets at him from a close distance, so Ghazal immediately died. Eyewitnesses emphasized that the shooting occurred immediately after they raided the building, so they could have arrested the child especially that the building is small and was completely surrounded. Moreover, there was only one exit. In the same context, on 30 March 2017, 16 civilians, including 2 children, were wounded when dozens of Palestinian civilians and human rights defenders organized a peaceful protest commemorating the Earth Day in Salman Mount, south of Nablus, and planted olive trees in a land threatened of confiscation. Two of the wounded persons were hit with live bullets while the rest were hit with metal bullets. On the same day, a 25-year-old civilian was hit with a bullet to the left thigh when Israeli forces moved into Tubas to carry out an arrest campaign. Therefore, a number of civilians protested against them. On 31 March 2017, a 14-year-old child was wounded when Israeli forces stationed at the southern entrance to Ni’lin village, west of Ramallah, opened fire at him. They then arrested the child and took him to a hospital in Israel. On the same day, Israeli forces wounded 3 civilians, including a photojournalist in Palestine TV while participating in Kafr Qadoum protest, north of Qalqilya. On 05 April 2017, Akram al-Atrash (23) was hit with 3 bullets to the shoulder, hand and chest when Israeli undercover units dressed like Palestinians “Mosta’arbeen” sneaked into al-Dheishah refugee camp, south of Bethlehem to carry out an arrest campaign. In the Gaza Strip, as part of targeting the border areas, on 03 April 2017, Israeli forces stationed along the border fence between Israel and the Gaza Strip, east of Khan Younis in the southern Gaza Strip, opened fire at the agricultural lands in al-Fokhari and Khuza’ah villages. No casualties were reported. On 04 April 2017, Israeli planes sprayed crop-killing pesticides on the agricultural lands to the west of the border fence between Israel and Gaza Strip, northeast of al-Qararah village, east of Khan Younis in the southern Gaza Strip. Farmers there emphasized that they saw small planes flying low in the area. The farmers added that those planes started spraying pesticides over 300-400 meters of the lands to the west of the fence before moving to the north to the eastern side of Deir al-Balah in the central Gaza Strip. During the reporting period, Israeli forces conducted at least 57 military incursions into Palestinian communities in the West Bank and 11 ones into occupied Jerusalem and its suburbs. During those incursions, Israeli forces arrested at least 73 Palestinian civilians, including 16 children. Twenty-three of them, including 11 children, were arrested in occupied Jerusalem. In the context of house demolitions, the Israeli Municipality vehicles demolished 3 residential facilities, walls and an agricultural room in Za’im village, east of the city, under the pretext of non-licensing. Those facilities are comprised of 3 buildings, which include 16 apartments; two of which were inhabited, 8 were ready for housing and 6 were under construction. Moreover, the bulldozers demolished an agricultural room and walls surrounding 3 plots of lands. It should be mentioned that the two inhabited apartments used to shelter 11 persons. In the same context, Hafez al-Rajabi self-demolished his house on the same day in Beit Hanina village, north of East occupied Jerusalem, upon a decision by the Israeli municipality, in order to avoid paying the demolition costs to the municipality staff. The 120-square-meter house was built 15 years ago and sheltered a family of 7 members, including 4 children. in the same context, Fayez and Soliman ‘Abdel Latif Ja’abis was forced to self-demolishe their houses in al-Mukaber Mount village, southeast of occupied Jerusalem, upon a decision by the Israeli municipality. The two houses were built on an area of 150 square meters 3 years ago and sheltered two families of 16 members, including 12 children. On 30 March 2017, Israeli forces levelled Palestinian lands belonging to the Deir Balout Municpality, west of Salfit. Local sources said that the Israeli municipality bulldozers levelled so far 20 dunums out of 72 dunums intended to be levelled. those lands belong to the families of Samarah, ‘Abdel Rahman and ‘Abdullah and were levelled for the interest of expanding “Arayel” settlement and its industrial area. On 03 April 2017, Israeli forces uprooted 135 olive trees from Qana Valley lands belonging to the Deiristiya Municipality, northwest of Salfit, under the pretext that “they are obstacles in the Natural Reserve.” A 35-meter retaining wall was also demolished under the pretext of changing the area. In the same context, on 27 March 2017, a group of settlers from Gel’ad settlement established on the Palestinian lands of Jeet village, northeast of Qalqilya, attacked farmers from the abovementioned village while ploughing their land there. At approximately 01:30, Israeli forces moved into al-Far’ah refugee camp, south of Tubas. They raided and searched a house belonging to Mohammed Fathi Mansour (25) and then arrested him. Around the same time, Israeli forces moved into Beit Ummer village, north of Hebron. They raided and searched a number of houses belonging to Sabri ‘Awad, Malik Sabri ‘Awad, Yusuf Sabri ‘Awad, Sa’id Mahmoud ‘Awad and Mohammed Mahmoud Ekhleil. They then arrested Ekhleil’s son Raed (23). Around the same time, Israeli forces moved into Surif village, west of Hebron. They raided and searched a house belonging to Mousa Amin Ghunaimat (30). Israeli forces later withdrew, but no arrests were reported. At approximately 02:00, Israeli forces moved into Tubas. They patrolled in the neighborhoods amidst firing of sound bombs. A number of civilians gathered and threw stones and empty bottles at the Israeli soldiers, who fired live bullets at them in response. As a result, a 25-year-old civilian sustained live bullet wound to the left thigh. He was transferred to Tubas Turkish Hospital to receive medical treatment. Following that, the Israeli soldiers raided and searched a house belonging to Husam Salah ‘Essa Abu ‘Amrou (29) and then arrested him. Around the same time, Israeli forces moved into ‘Ein Yabrud village, northeast of Ramallah. They raided and searched a house belonging to Zahi (22) and ‘A’laa’ Hatem Huwaih (19) an then arrested him. Around the same time, Israeli forces moved into Bani Na’im village, east of Hebron. They raided and searched a house belonging to Mohammed Mousa al-Khdour and then arrested him. Note: During the aforementioned day, Israeli forces conducted (9) incursions in the following areas and no arrests were reported: Sebastia village, northwest of Nablus; Beit Furiq and Beit dagan villages, east of the city; Qalqiliyah, al-‘Aroub refugee camp, Beit Oula, Taffouf, al-Thaheriyah and Abu al-‘Asja village in Hebron. At approximately 01:00, Israeli forces moved into Husan village, west of Bethlehem. They raided and searched a house belonging to Mohammed Abdul Hakim Sebatin (27) and then arrested them. At approximately 03:30, Israeli forces moved into Silwad village, northeast of Ramallah. They raided and searched a number of houses and then burst the doors. They arrested 4 civilians, including 2 children, namely Mohammed Husam Hamed (16), Abdul Qader Sa’ed Hammad (16), Mohammed Abdul Majid Hammad (32), who is a former prisoner, and Abul Jawad Wasef Hamed (26). At approximately 04:50, Israeli forces moved into Der Estia village, northwest of Salfit. They raided and searched a house belonging to Tareq Nafeth Mansour (27) and then arrested him. In the evening, Israeli forces stationed at the south eastern entrance to Ni’lin village, west of Ramallah, opened fire at ‘Atabah Jeyad Husain ‘Amirah (14). As a result, he sustained a live bullet wound to the foot. 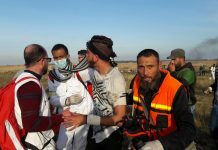 An ambulance of the Red Crescent Society (PRCS) arrived at the place to take ‘Atabah to the hospital, but the Israeli forces prevented to do so. The Israeli forces them called for an Israeli ambulance of Magen David Adom and transferred him to an Israeli hospital. Note: During the aforementioned day, Israeli forces conducted (6) incursions in the following areas and no arrests were reported: Sebastia village, Jeni and its camp, Ya’bud, south of the city; al-Samou’i and Ethna villages, south of Hebron. Note: During the aforementioned day, Israeli forces conducted (3) incursions in the following areas and no arrests were reported: Hebron, Taffouh, Hawarah villages, south of Nablus. At approximately 01:00, Israeli forces moved into the southern area in Hebron. They raided and searched a house belonging to Mohammed Mahmoud al-Natshah (22) and Mohammed ‘Ali Abu ‘Eker (18) and then arrested them. At approximately 02:00, Israeli forces moved into Nablus through its all entrances and stationed in Ras al-‘Ein neighbourhood, south of the city. The soldiers surrounded al-Masri building and then raided and searched a house belonging to Zaher Fathi Ghazal in the abovementioned building and questioned his family and then left the house. It should be noted that Ghazal is the father of Ahmed (17), who was killed a day ago in Jerusalem. The Israeli forces claimed that Ahmed carried out a stab attack in Wadi al-Jawz neighbourhood in the city. Moreover, the Israeli forces raided and searched al-Bukhari Library adjacent to Najah National University, west of the city, and fixed a notice to close the library for 2 months. It should be noted that the abovementioned library, which has been closed since 27 October 2016 and whose contents were confiscated, belongs to prisoner ‘Alaa’ Taiseer Abdul Ghani Essa Salaam, who has been arrested since 03 October 2016. The closure came after the Israeli claims that the place contributes to incitement to carry out terrorist attacks. Around the same time, Israeli forces moved into Beit Fujjar village, south of Bethlehem. They raided and searched a house belonging to the family of ‘Emad Mahmoud Taqatqa (22) and then arrested him. Around the same time, Israeli forces moved into Beit Ummer village, north of Hebron, and stationed in Safa, al-Sha’ab and al-Bayadah neighbourhoods. They raided and searched a house belonging to Yusuf Bader Ekhleil (35), confiscated clothes of his son ‘Ammar (7) and then arrested Yusuf. The soldiers also raided and searched a house belonging to Abdul Hamid Mhaisen ‘Awad (50) and then arrested his son Montser (21). They also arrested Ibrahim Khalil Abu Dayyah (24) after searching his house. Later, Jacqueline Fararjeh, a lawyer at the Palestinian Prisoners’ Club, said to PCHR’s fieldworker that the Israeli forces attacked and investigated EKhleil and Abu Dayyah during their arrest. They also attacked Saber al-‘Amour from Taqqou’ village, southeast of Bethlehem. The Fararjeh’s statements came after she visited the three civilians in the detention center in “Gush Etzion” settlement complex, south of the city. At approximately 02:30, Israeli forces moved into Zeta village, south of Tulkarm. They raided and searched a number of houses and then arrested Ayham Roumal ‘Ali Abu Hamdi (17). At approximately 11:00, Israeli forces moved into Wad Abu Fariha area in al-‘abyat village, east of Bethlehem. They raided and searched a house belonging to Anas Nabhan al-‘Amour (23) and then arrested him. At approximately 03:00, Israeli forces moved into al- Thaheriyah village, south of Hebron, and stationed in Shuweikah area. They raided and searched a house belonging to Abdullah ‘Ataa al-Hawarin (29) and later withdrew, but no arrests were reported. Note: During the aforementioned day, Israeli forces conducted (3) incursions in the following areas and no arrests were reported: Beit Awa and Raboud villages in Hebron and Beta village, south of Nablus. At approximately 00:30, Israeli forces moved into al-Karkafah area in the center of Bethlehem. They raided and searched a house belonging to Mohammed Sabri Zahawrah (20) and then arrested him. At approximately 01:00, Israeli forces moved into al-Samou’i village, south of Hebron, and stationed in al-Semia area. They raided and searched a house belonging to Shebel Ahmed Daghamin (33) and then arrested him. At approximately 03:00, Israeli forces moved into al-Jalazoun refugee camp, north of Ramallah. They raided and searched 2 houses belonging to ‘Ataa Omer Nakhlah (33) and Mohammed Jalal Nakhlah (20) and then arrested them. At approximately 07:30, Israeli undercover agents “Mosta’rebeen” dressed like Palestinian civilians moved into al-Masyoun neighbourhood, south of Ramallah. Eyewitnesses said to PCHR’s fieldworker that 7 persons were inside a furniture truck, and then raided and searched a house belonging to Ahmed Wael ‘Afanah (19). They attacked him and his family and then arrested him. It should be noted that ‘Afanah was a former prisoner. Around the same time, Israeli forces stationed along the border fence between the Gaza Strip and Israel, east of Khan Yunis in the southern Gaza strip, opened fire at agricultural lands in Khuza’ah and al-Fukhari villages, west of the abovementioned border fence. The shooting continued sporadically for half an hour, but no casualties were reported. At approximately 01:30, Israeli forces moved into Bethlehem and stationed on al-Saf Street in the centre of the city. They raided and searched several houses after which they arrested Mustafa Bassam Ahmed al-Shaikh (24) and Mohammed Maslat (26). Around the same time, Israeli forces moved into al-‘Aroub refugee camp, north of Hebron, and stationed in al-Fouqa neighbourhood. They raided and searched a house Wadi’ Mohammed al-Badawi (22) and then arrested him. At approximately 03:00, Israeli forces moved into Ya’bud village, southwest of Jenin. They raided and searched a number of houses and then arrested Omer ‘Adnan Yaseen Hamarshah (25). Around the same time, Israeli forces moved into Ethna village, west of Hebron and stationed in ‘Aziz neighbourhood. They raided and searched a house belonging to Motasem Jebril al-Jayawi (27) and then arrested him. At approximately 03:30, Israeli forces moved into al-Jalazoun refugee camp, north of Ramallah. A number of young men gathered and threw stones and empty bottles at the Israeli soldiers. The soldiers fired live bullets, rubber-coated metal bullets and sound bombs at the young men in response. In the meantime, the Israeli soldiers raided and searched a number of houses and then arrested 3 civilians, including a child, namely Oseid Morad Nakhlah (18), Mohammed Neal ‘Elyan (17) and Sofian Mohammed ‘Ataa Sharakah (18). Around the same time, Israeli forces moved into Barta’ah village, southwest of Jenin. They raided and searched a number of houses and then arrested Mohammed Hamdan Kansh (27) and Mohammed Jamal Mas’oud (22). Around the same time, Israeli forces moved into Yatta, south of Hebron, and stationed in Roq’ah neighbourhood. They raided and searched a house belonging to Abdullah Essa al-‘Awouri (22) and then arrested him. At approximately 04:00, Israeli forces moved into ‘Ezbet al-Jarad, north of Tulkarm. They raided and searched a number of houses after which they arrested Khalid Bassam Abdul Fattah Hamshari (21). At approximately 07:00, Israeli planes sprayed crop-killing pesticides at agricultural lands that are around 300 to 400 meters away to the west of the border fence between the Gaza Strip and Israel, northeast of al-Qararah village, east of Khan Yunis in the southern Gaza Strip. Farmers in the area said to PCHR’s fieldworker that they saw small planes flying low over the abovementioned border fence, sprayed pesticides on an area of 300 – 400 square meters along the abovementioned border fence. The planes flied then to the north heading to east of Deir al-Balah. The spraying continued until 09:30. It should be noted that this is not the first time that Israeli forces spray pesticides on the area under the pretext of burn grass in the buffer zone, west of the border fence for security reasons. However, each time, the pesticides affect agricultural lands and damaged large areas of them. Note: During the aforementioned day, Israeli forces conducted (4) incursions in the following areas and no arrests were reported: Surif, Kharas villages, al-Fawar refugee camp and al-Reihiyah village. At approximately 02:30, Israeli forces moved into al-Dawhah village, west of Bethlehem. They raided and searched a house belonging to Baraa’ Jamil Abu ‘Alyah (21) and then arrested him. At approximately 03:00, Israeli forces moved into Nahalin village, west of Bethlehem. They raided and searched a number of houses. They then arrested 4 civilians, including a child, namely ‘Adel Mohammed Ghayatha (16), Ibrahim Walid Najajrah (20), Abdul Karim Mohammed Shakarnah (20) and ‘Omran Yusuf Najajrah (21). Around the same time, Israeli forces moved into Fahmah village, southwest of Jenin. They raided and searched a number of houses and then arrested Loai Ahmed Sa’abnhah (35) and Sahfiq Mahmoud Sa’abnah (27). At approximately 03:30, a group of Israeli undercover agents dressed like Palestinian civilians used a truck and moved into al-Dheisheh refugee camp, south of Bethlehem. They raided and searched a number of houses after which they arrested Ahmed Essa Sarrar (22), Mo’tasem Mazen Raqban (23) and Ahmed al-Sar’awi (22). After that, a group of Palestinian young men gathered and threw stones and empty bottles at the soldiers. The soldiers fired live bullets and rubber-coated metal bullets at the young men in response. 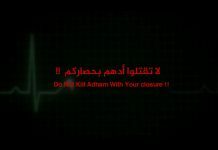 As a result, Akram al-Atrash (23) was hit with 3 live bullets to the shoulder, hand and chest. He was transferred to Hadassah Ein Kerem Hospital in Jerusalem to receive medical treatment. At approximately 12:00, on Thursday, 30 March 2017, on Earth day, dozens of Palestinian civilians and human rights defenders organized a peaceful demonstration. They moved from Madama village council and made their way to al-Qa’dat area in Suleiman Mount, south of the village, which is threatened of confiscation, as they carried olive seedlings. The civilians were surprised with the Israeli forces stationed on the top of the abovementioned mount, which is about 500 meters away from the land they intended to plant. When the civilians began planting the olive seedlings, the Israeli soldiers fired live bullets and rubber-coated metal bullets at them. As a result, 16 civilians, including 2 children, were wounded. Two civilians were hit with live bullets while the others were hit with metal bullets. Among those wounded were Dr. Ghassan Hamdan (54), Director of Medical Relief in Palestine in Nablus, sustained a metal bullet wound to the back; Derar Mohammed Husain Abu Omer (53), working in the Palestinian Agricultural Relief, was hit with a metal bullet to the right leg; Khaled Hasan Mohammed Soboh (59), official in Agricultural Relief, was hit with a metal bullet to the left leg sustaining fracture, Amin Mohammed Amin Nassar (12) sustained a metal bullet wound to the left leg and Hafeth Mohammed Hafeth Nassar (12) was hit with a metal bullet to the leg. At approximately 13:00 on the same day, dozens of Palestinian civilians, activists from the Hebron Defense Committee and International and Israeli human rights defenders organized a peaceful protest to plant trees in Wad al-Husain area, east of Hebron, on which the Israeli authorities established “Kiryat Arba” The protest was organized to commemorate the 41st anniversary of Earth Day. The protestors carried slogans titled “United against confiscation of lands in al-Jalil, al-Naqab and al-Muthalath”. The soldiers surrounded the area and attacked and beat the protesters, claiming that the abovementioned area was declared as a closed military zone. The Israeli soldiers then arrested 4 activists from the Popular Resistance and took them to a detention center in “Gush Etzion” settlement complex, south of Bethlehem. The arrested activists were identified as ‘Anan Samir Maswadah, an activist in the Hebron Defense Committee; Bade’I Mohammed Adeeb Duwaik, Coordinator of the “human rights Defenders” Gathering; Younis Mohammed ‘Arar, Head of the Palestinian Committee against the Annexation Wall in Hebron and Eshaq Abdul Hamid al-Khatib. It should be noted that the Israeli authorities informed the lawyers of the arrested activists that they were arrested on charges of being in a closed military zone. At approximately 12:40 on Friday, 31 March 2017, Palestinian civilians and International activists organized a protest in Kufur Qaddoum village, northeast of Qalqiliyah. They made their way towards the eastern entrance of the village in protest against closing that entrance since the beginning of al-Aqsa Intifada with an iron gate. When the protesters approached the entrance, Israeli forces fired rubber-coated metal bullets, tear gas canisters and sound bombs at them. As a result, 3 civilians were wounded, including Bashar Mahmoud Nazal Saleh (40), a photojournalist at Palestine TV Channel, sustained a metal bullet to the right leg. Moreover, several civilians suffered tear gas inhalation, and the Israeli bulldozers damaged the main water pipe of the village. Following the Friday prayer, dozens of Palestinian civilians and Israeli and international human rights defenders organized demonstrations in Bil’in and Nil’in villages, west of Ramallah, and in Nabi Saleh village, northwest of the city, protesting against the annexation wall and settlement activities. Israeli forces forcibly dispersed the protestors, firing live and metal bullets, tear gas canisters and sound bombs. They also chased the protesters into olive fields and between houses. As a result, many of the protesters suffered tear gas inhalation while others sustained bruises due to being beaten up by the Israeli soldiers. On Thursday, 30 March 2017, Israeli authorities allowed the exportation of 5 truckloads of tomatoes; 4 truckloads of cucumbers; a truckload of eggplants; a truckload of peppers; 4 truckloads of sweet peppers; 5.7 tons of squash; 2.5 tons of cauliflower s and 0.8 tons of cabbages. On Sunday, 02 April 2017, Israeli authorities allowed the exportation of 10 truckloads of tomatoes; 2 truckloads of cucumbers; 2 truckloads of peppers; 2 truckloads of squash; and 3 truckloads of lemons. On Monday, 03 April 2017, Israeli authorities allowed the exportation of 11 truckloads of vegetables; a truckload of furniture; 3 truckloads of aluminum scrap; and a truckload of lemons. On Tuesday, 04 April 2017, Israeli authorities allowed the exportation of a truckload of furniture. On Thursday, 30 March 2017, Israeli forces established 2 checkpoints at the northern entrance to Halhoul village and at the southern entrance to Hebron. On Friday, 31 March 2017, Israeli forces established 3 checkpoints at the entrances to al-Fawar refugee camp, Karmah and Yatta villages. On Saturday, 01 April 2017, a checkpoint was established at the entrance to Beit ‘Awaa village, west of the city. On Sunday, 02 April 2017, 2 checkpoints were established on al-Karmel raod, east of Yatta village and on Wad Abu Risha road, west of Ethna village. On Monday, 03 April 2017, Israeli forces established 3 checkpoints at the entrances to Sa’ir, Halhoul and Dura villages. On Tuesday, 04 April 2017, 4 checkpoints were established at the northern entrance to Halhoul village, on al-Masafer road, at the entrance to Bani Na’iem village and on Yatta and Samou’s villages’ raod. On Wednesday, 05 April 2017, 3 checkpoints were established on Jalajel and Abu Risha roads and at the entrance to Beit ‘Awwa village. At approximately 13:30 on Thursday, 30 March 2017, Israeli forces established a checkpoint at the entrance to al-Nabi Saleh village, northwest of Ramallah. On Saturday, 01 April 2017, Israeli forces established 4 checkpoints at the entrance to al-Nabi Saleh village, northwest of Ramallah; at the entrance to Beit ‘Ur and Beit Loqiyia villages, west of the city and in ‘Atara bridge, north of the city. At approximately 15:30 on Monday, 03 April 2017, Israeli forces established a similar checkpoint at the entrance to al-Nabi Saleh village, northwest of the city. Salfit: Israeli forces established (7) checkpoints all over the city. On Friday, 31 March 2017, Israeli forces established 4 checkpoints at the western entrance to Kafur al-Deek village, west of Salfit (established twice); at the entrance to Kaful Hares village, north of the city and at the entrance to Qarawet Bani Hassan, northwest of the city. On Sunday, 02 March 2017, Israeli forces established 3 checkpoint at the northern entrance to Salfit (were established twice) and at the entrance to Kaful Hares village, north of the city. On Sunday, 02 March 2017, Israeli forces established 3 checkpoints at the eastern entrance to Qalqilyia, at the entrance to Heblah village, south of the city and at the entrance to ‘Azoun village, east of the city. At approximately 19:30 on Sunday, 02 April 2017, Israeli forces established a checkpoint at the intersection of the Dead Sea, south of Jericho, where the Israeli forces searched Palestinian vehicles and checked their IDs. At approximately 23:00 on Thursday, 30 March 2017, Israeli forces arrested Ali Khadir Abu Hilayil (21) when he was near al-Nafaq area in Beit Jala. At approximately 18:00 on Friday, 31 March 2017, Israeli forces established a checkpoint at Quseen’s intersection on Nablus-Tulkarm Road. They stopped Palestinian vehicles and checked their IDs. During which, they arrested Waddah Nabil Abed al-Jaleel Ahmed (29), from Kafur Qalil village, south of Nablus. Eyewitnesses stated that the Israeli forces stopped the vehicle carrying Waddah and checked the passengers’ IDs before arresting Waddah and confiscating his vehicle. It should be noted that the Israeli forces ordered Waddah’s family to step out of the vehicle while they were on their way back from Tulkarm and heading to Nablus. At approximately 16:10 on Sunday, 02 April 2017, Israeli forces stationed at Za’tarh checkpoint, south of Nablus, arrested Mohamed Zaki Mohamed Haj “al-Tirawi” (35), from Balatah refugee camp, east of the city. Mohamed was on his way back from Ramallah to Nablus along with his brother Iyyad (37). The Israeli forces stopped the vehicle carrying Iyyad and his brother and checked their IDs. After that, the Israeli forces arrested Mohamed, who works as a police officer. At approximately 17:30 on Sunday, Israeli forces stationed at the eastern entrance to Qalqilyia, arrested Mashhour Jalal Mohamed Ali (34) claiming that he attempted to stab an Israeli soldier stationed at a military watchtower near the village’s entrance. On Sunday, Israeli forces stationed in al-Karama crossing, east of Jericho, arrested Nidal Hisham Bahjat Abed al-Hadi (50), from Jenin. The Israeli forces detained Nidal in a room for 2 hours and checked his official papers. Nidal’s wife said to PCHR’s fieldworker that his husband was travelling to Turkey via Jordan and was then taken to an unknown destination. In a new crime of excessive use of lethal force, on Saturday, 01 April 2017, Israeli forces killed a Palestinian child, from Nablus, after he carried out a stabbing attack against Israeli settlers on al-Wad Street in occupied Jerusalem’s Old City. According to PCHR’s investigation and eyewitnesses’ testimonies, at approximately 15:20, Ahmed Zaher Fathi Gazal (17) was walking on al-Wad Street on occupied Jerusalem’s Old City, and then attacked Israeli settlers with a sharp tool. He then fled towards a building comprised of medical clinics on the street. Israeli police officers along with Israeli border Guards chased Ahmed and then raided the building. They then fired around 25 live bullets at him, so he immediately died. Eyewitnesses confirmed to PCHR’s fieldworker that when the Israeli forces raided the building, they directly opened fire at the child, while they were able to arrest him, especially that the building is small, was completely surrounded, and does not has any other exits. It should be noted that the Israeli forces detained Ahmed’s corpse for over 2 hours in the building and then his corpse was taken via an ambulance. Following committing this crime, the Israeli forces closed the Old City and prevented civilians from entering or leaving. They also established checkpoints in the streets. In the meanwhile, clashes erupted between the Israeli forces and Palestinian young men near al-Qataneen market which leads to al-Wad Street. As a result, a Palestinian woman and man were wounded due to being beaten and pushed by the Israeli forces. Moreover, the Israeli forces stationed at al-Amoud Gate attacked Palestinian civilians, sprayed pepper spray at them and then forced them to evacuate the area. As a result, 3 Palestinian civilians suffered tear gas inhalation and burns, while Mohamed Kayid ‘Asilah (19) was arrested. Furthermore, the Israeli forces raided shops on al-Wad Street, checked the IDs of the shops’ owners and confiscated them. They then summoned them for interrogation in “al-Selselah Gate” police center. It should be noted that following the crime, the Israeli forces immediately confiscated surveillance cameras’ DVRs. A trader said that the Israeli forces forced them to close their shops and forced a pharmacy owner to close his pharmacy on al-Wad Street and prevented a patient from buying a medicine. Nasser Qaws, Director of the Prisoner’s Club in Jerusalem, said that around 20 traders were summoned for interrogation. At approximately 01:00 on Thursday, 30 March 2017, Israeli forces moved into ‘Anata village, northeast of occupied East Jerusalem. They raided and searched a house belonging to Khadir Ayman al-Kaswani (16) and arrested him. At approximately 03:00 on Thursday, Israeli forces moved into al-‘Issawiyia village, northeast of occupied Jerusalem. They raided and searched houses from which they arrested Mohamed al-Atrash (16) and Samer Ahmed Muhassin (19). At approximately 02:00 on Friday, 31 March 2017, Israeli forces moved into al-Matar Street and Qalandia refugee camp, north of occupied East Jerusalem. They raided and searched houses from which they arrested Hani Falah (23) and Yousef al-Khatib (24). At approximately 10:00 on Sunday, 02 April 2017, Israeli forces moved into Al-Bustan neighborhood playground in Silwan village, south of East occupied Jerusalem’s Old City. They detained Palestinian young men for few minutes and then released them. After that, the Israeli forces went to the playground, where Palestinian children were playing and searched their belongings. They then arrested Sultan Samer Sarhan (12) and Ahmed Ziyad Zaidani (13). At approximately 02:00 on Monday, 03 April 2017, Israeli forces moved into al-‘Issawiyia villages, northeast of occupied East Jerusalem. They raided and searched many houses from which they arrested 4 civilians, including 3 children. The arrested civilians were identified as Mohamed Monther ‘Atiyia (14), Nour al-Deen Muhasin (17), Ali Jamal Bader (24) and Ibrahim Mohalwes (17). At approximately 02:00 on Tuesday, 04 April 2017, Israeli forces moved into Qutnah village, northwest of occupied East Jerusalem. They raided and searched houses from which they arrested Mohamed Ziyad Bajes Shamasnah (33) and Bilal Mostafa Jaber Shamasnah. At approximately 03:00 on Tuesday, Israeli forces moved into Sho’fat refugee camp, north occupied East Jerusalem. They raided and searched a house belonging to Samed Khalil Abu Shams (45) and arrested him. At approximately 00:00 on Wednesday, 05 April 2017, Israeli forces moved into al-Tour neighbourhood, east of occupied East Jerusalem’s Old City. They raided and searched houses from which they arrested 3 civilians, including 2 children. The arrested civilians were identified as Loa’y ‘Isaa Satleeh (19), Mohamed Naji Abu Jum’a (15) and Ahmed Marwan Abu Jum’a (17). At approximately 01:00 on Wednesday, Israeli forces moved into Qalandia refugee camp, north of occupied East Jerusalem. They raided 2 houses belonging to the families of the two killed cousins, Hussain Salem Abu Ghosh and Hussain Mohamed Abu Ghosh, and arrested Salem (52), Saleem and ‘Ayid Abu Ghosh. The Israeli forces took them to al-Liwaa’ camp near al-Ram village for interrogation. The arrested persons were released an hour later. It should be noted that Salem Abu Ghosh is the father of Hussain Abu Ghosh, who was killed at the beginning of this year by the Israeli forces after he carried out a run over attack against the Israeli forces on the 1st anniversary of the death of his cousin Hussain Mohamed Abu Ghosh, who carried out a stabbing attack in ” Beit Horon” settlement and was killed by Israeli forces. At approximately 01:30 on Wednesday, Israeli forces moved into al-Shaikh Jarrah neighbourhood, north of occupied East Jerusalem’s Old City. They raided and searched houses from which they arrested Mohamed Ghateet (16) and Bilal Ghateet (12). At approximately 02:00, Israeli forces moved into Silwan village, south of occupied East Jerusalem’s Old City. They raided and searched a house belonging to Khalid al-Zair (34) and arrested him. At approximately 07:00 on Tuesday, 04 April 2017, the Israeli Municipality bulldozer demolished 3 residential facilities, a room and walls in Za’eem village, east of the city, under the pretext of non-licensing. Radi Abu Jamal, one of the demolished houses residents, said that a large force of Israeli soldiers and a bulldozer moved into the village, surrounded residential buildings and forced residents to evacuate. They then demolished the building. 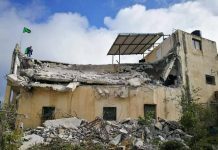 Radi added that the Israeli forces demolished a residential building comprised of 2 apartments belonging to Othman Abu Sbitan. He added that the Israeli forces also demolished an under-construction residential building comprised of 3 floors (6 apartments) belonging to Ayman al-Dayah. Moreover, they demolished a residential building comprised of 4 floors and 8 apartments belonging to Ahmed al-Shiber. The Israeli forces also demolished retaining walls of 3 lands belonging to al-Maqdisyia, al-‘Abasi, al-Natsha and ‘Alqam families. In addition, they demolished an agricultural room belonging to ‘Alqam family. Abu al-Jamal said that his 240-square-meter house rented from Othman Abu Sbitan was comprised of 2 apartments and sheltered 11 persons. It should be noted that the Israeli forces did not allow them to take their furniture out of the house and demolished the 2 apartments over their contents. In the same context, on Tuesday, Hafez al-Rajbi self-demolished his 120-square-meter house built 15 years ago in Beit Haninah village, north of occupied East Jerusalem. Hafez self-demolished his house to avoid paying demolition costs for the municipality. Linda al-Rajbi said that the Israeli forces summoned her husband last week and informed him to demolish his house before the Israeli Municipality crews demolish it and in this case he will pay the demolition costs ranging from NIS 200,000-250,000. Al-Rajbi added that her family was forced to rent a bulldozer to demolish their house, which was comprised of 3 rooms and their facilities and sheltered 7 members, including 4 children. She also clarified that her husband attempted to license the house during the last years and the Israeli Municipality fined him with NIS 100, which the family paid. The demolition decision was delayed many times before, after that, the Israeli Municipality decided to demolish it and not to license it. In the same context, two brothers, Fayiz and Suliman Abed al-Latif Ja’abees, were forced to self-demolish their houses in al-Mukaber Mount village, southeast of occupied Jerusalem. Fayiz said that the two houses were built 3 years ago on an area of 150 square meters. He added that 16 members, including 12 children, used to live in the houses. Fayiz also said that in November 2016, the Israeli Municipality issued a decision to demolish the two houses under the pretext of non-licensing. It should be noted that Fayiz and Suliman attempted to license their houses but in vain. At approximately 13:00 on Thursday, 30 March 2017, Israeli bulldozer levelled 20 dunums belonging to Deir Balout municipality, west of Salfit. The Israeli authorities published an advertisement in an Israeli newspaper few months ago about its intention to confiscate 18 dumums from Khelit al-Za’faran area, northeast of the village, preluding to annex it to “Ariel” industrial area and expand “Ariel” settlement. Local sources stated that the Israeli bulldozers have so far demolished around 20 dunums out of 72 dunums which are intended to be demolished. On the same day, the lands’ owners, Samarah, Abed al-Rahman and Abdullah families, went to their lands and refused the leveling. After the the Israeli Liaison’s intervention, the Israeli forces stopped the leveling until the lands’ owners prove their ownership. At approximately 09:15 on Monday, 03 April 2017, Israeli forces uprooted around 135 olive trees from Wad Qannah lands belonging to Dirastiyia village, northwest of Salfit, under the pretext that they consttiute obstacles in the natural reserve. Moreover, they demolished a retaining wall under the pretext that they will change Wad Qannah’s milestones. After that, on 06 February 2017, the Israeli forces put two notices in the abovementioned area about uprooting 70 olive trees and damaging 70 meters of the retaining walls. The abovementioned property belongs to Moqbel Mohamed Shehadah ‘Awwad (40 olive trees); Abed al-Hameed Abed al-Kareem Diyab (35 olive trees); ‘Azam Mohamed ‘Aqel (20 olive trees); and Abed al-‘Azeez Abed al-Qadir ‘Aqel (40 olive trees and retaining walls). At approximately 17:00 on Saturday, 01 April 2017, Israeli settlers from “Bracha” settlement sneaked into Bureen village, south of Nablus to the northern outskirts of the village, under the Israeli forces’ protection. A number of Palestinian young men gathered and threw stones and empty bottles at them. The Israeli forces fired live bullets and tear gas canisters at the protesters to disperse them. The Israeli forces along with the Israeli settlers later withdrew from the village and no more incidents were reported. At approximately 10:00 on Friday, 31 March 2017, Israeli settlers under the Israeli forces’ protection moved into Kherbit al-Koum village, west of Dura, southwest of Hebron. They performed their Talmudic rituals in the archaeological palace located in the village belonging to the Palestinian Tourism Authority. After that, the Israeli settlers withdrew from the village and no attacks against Palestinian families were reported.